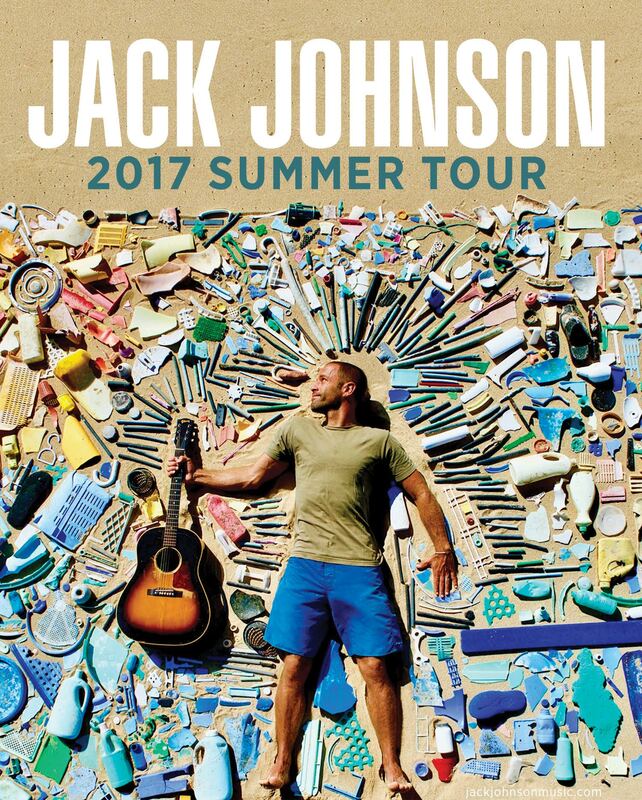 We are very excited to announce that we have been selected as a nonprofit partner for the Jack Johnson 2017 Summer Tour! As part of this partnership with Jack and his All At Once community, we are giving away two tickets to his June 10th show in Camden. 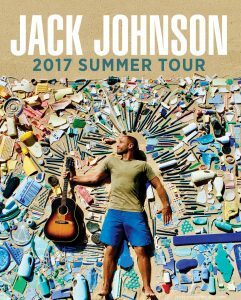 As with Jack’s previous tours, he continues to pace the way in green touring practices for summer 2017. Tour vehicles will be filed by sustainable biodiesel wherever possible, concertgoers will be offered mass transportation and bike valet options, waste reduction measures will be expanded and single-use plastics will continue to be eliminated backstage. In addition, the tour will source food from local farms, offer eco-friendly merchandise, provide free water refill stations and invest in community based carbon offset projects. 1) Attend at least ONE Surfrider Foundation, South Jersey Chapter event in March, April, or May, such as a Chapter meeting or clean up. At the event, mention to an Executive Committee member that you are interested in the ticket giveaway. 2) Get involved with a Surfrider Foundation, South Jersey Chapter program or campaign. Ways to get involved with a program/campaign: Speak in favor of an ordinance we are supporting at a council meeting, empty/build/install monofilament recycling containers, talk to a local restaurant about Ocean Friendly Restaurants, assist with the #BagItDownbeach campaign, help plan our International Surfing Day event for June 20th, table an event, etc.. email our Chapter Chair Beth at chair@southjersey.surfrider.org to get involved and tell her you are interested in winning the Jack Johnson tickets. If you do BOTH OF THESE things you will be entered into a drawing to win a pair of ticket to Jack’s show! Drawing will be held mid-May.